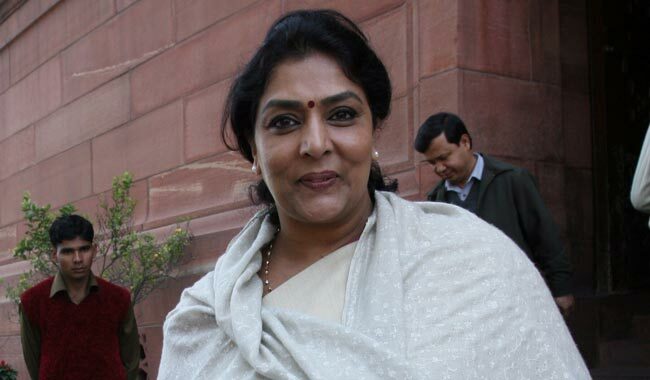 Renuka Chowdhary is a firebrand leader from Congress. She began her political career with Telugu Desam Party in 1984. Renuka Chowdhary is a firebrand leader from Congress. She began her political career with Telugu Desam Party in 1984. From 1986 to 98 she remained a Rajya Sabha member. She was the Union Minister of State for Health and Family Welfare in Deve Gowda cabinet during 1997-98. She joined Congress in 1998 and was elected twice from Khammam Lok Sabha constituency. She was the Union minister of State (Independent Charge) for Ministry of Women and Child Development in the UPA 1 government from January 2006 to May 2009 . She is now Congress Party Spokesperson. She has acute political acumen and often unnerves her political opponents with her hard hitting rebuttals.